I like the fresh take with Amazing Spider-Man over the previous films (#3 especially). They are going for a gritty kind of Dark Knight thing. And I like how Richard and Mary Parker actually get mentioned and feature heavily in the films backstory. I saw the latest trailer with "The Avengers" and am glad that even though the film is darker in tone they still have Spidey's mocking jokes, especially when the car thief pulled a knife and he said "You've found my weakness...tiny knives!!!!". I believe that all good superheroes are deadpan snarkers. That's why I hate Superman, the big blue boyscout. Superman is dumb ins every way, including costume. Especially costume. 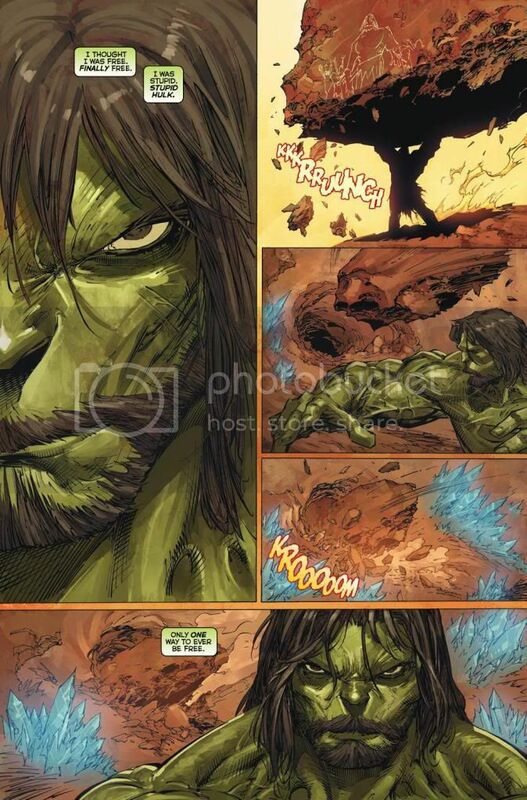 I started catching up on the new Incredible Hulk series, though I'm still a few issues behind. Can I just say, I love Hulk beard? I have a big box of really old comics, somewhere in my closet. Really old, like the kind with ads for NES games and Captain America eating Hostess fruit pies. 90's comics aren't that old when you consider how long modern comic books have been around. Thor: Take care what you say, Loki is a citizen of Asgard and my Brother. Black Widow: He's killed 80 people in two days. Thor: Well, he was adopted. They incorrectly see this as Thor equating murder to being adopted. But in reality he's just stating that although Loki is his Brother by Family he's not by blood. I know this is the Merry MARVEL Marching Society but I'd like to take a moment to spotlight an upcoming limited series from IDW Publishing. What happens when two of the longest Science Fiction franchises are suddenly thrown into the mix? Find out as Captain Jean Luc Picard and his Enterprise crew meet The Doctor in "Star Trek TNG/Doctor Who: Assimilation 2(squared)"
Information about this series is under tight wraps but according to released cover art, The Borg and Cybermen play a part. There's also a cover featuring Kirk being attacked by Classic cybers as The 4th Doctor (Tom Baker) looks on in horror (this might simply be an alternate cover because IDW is famous for issuing comics with special covers). "Oh no, Thor made a joke that had the word 'adopted' in it. Let's boycott the greatest movie of the year!" Anyway, I'm not much of a Star Trek fan, save for some clips of Q that I've seen. That being said, I just have to see this crossover. I know what you mean, I've already preordered the first three issues from my favorite online comic retailer Things from Another World. I like your Icon, I have that as a poster I bought from TFAW. Thanks. I'm gonna look up their posters now. I also have an Avengers vs X-Men poster of Captain America fighting Cyclops. I also have an Avengers vs X-Men poster of Captain America fighting Psyclops.